Our research and teaching activities examine globalization as a process that has ebbed and flowed across the centuries. Yet we believe that one of the central challenges for current research is to delineate the specific features of 21st century globalization, which is proving to be remarkably different from earlier eras, different even from globalization in the late 20th century. Our theme also takes note of the fact that globalization has been characterized as a trend, a process, a transformation of consciousness. It has been examined in terms of networks, systems, and flows. As we considered the points of intersection in our own work, we settled on the term dynamics because we were attracted to the ways in which it encourages reflection on motion, forces, and change. We’re taking on the term as point of departure, as a provocation to interdisciplinary engagement, not as the naïve application of Newtonian law. Our work ranges widely, taking ups such topics as love and intimacy in the Middle East; human rights and governance in Latin America; the rise of societies and economies outside the West; and creative labor issues in the age of global media conglomerates. 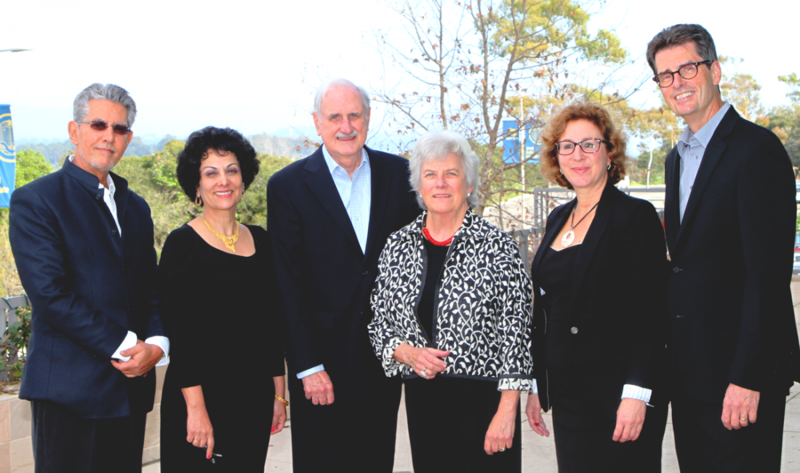 The GDI faculty cluster is endowed by Duncan and Suzanne Mellichamp who have over the course of fifty years contributed generously to the growth and well-being of the University of California, Santa Barbara. Duncan is Emeritus Professor of Chemical Engineering and Suzanne is a retired educator of the Santa Barbara Public Schools. GDI is also supported by a grant from the office of Executive Vice Chancellor David Marshall and the deans of the College of Letters and Science. The cluster is based at the Orfalea Center for Global and International Studies.